Go to site www.enps.nsdl.com and select Registration option and go to New Registration and choose appropriate options. You must have an 'Aadhaar number' (with a mobile number registered with Aadhaar). Your KYC in NPS will be done using Aadhaar through One Time Password (OTP) authentication. OTP for the purpose of authentication will be sent to the mobile number registered with the Aadhaar. Your demographic details and photo will be fetched from Aadhaar database and populated in online form. You need to fill up all the mandatory details online. You would be required to upload your scanned signature (in *.jpeg/*.jpg format having file size between 4kb - 12kb) as part of the registration process. In case, you wish to replace the photo obtained from Aadhaar, you may upload a scanned photograph. You will be routed to a payment gateway for making the payment towards your NPS account from Debit/ Credit card or Internet Banking. You must have a 'Permanent Account Number' (PAN). 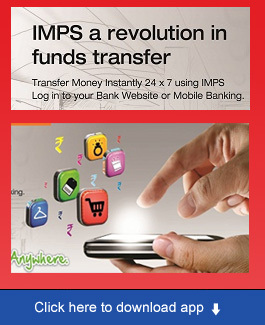 Bank account with the empanelled Bank for KYC verification for subscriber registration through eNPS. Your KYC verification will be done by the Bank selected by you during the registration process.Name and address provided during registration should match with bank records for KYC verification. If the detail doesn’t match, the request is liable for rejection.In case of rejection of KYC by the selected Bank; applicant is requested to contact the Bank. You need to upload your scanned photograph and signature in *.jpeg/*.jpg format having file size between 4kb - 12kb. Select 'eSign' option in the eSign / Print & Courier page. OTP for the purpose of authentication will be sent to your mobile number registered with the Aadhaar. After Authentication of Aadhaar, Registration form will be successfully eSigned. Once a document is eSigned, you need not send the physical copy of form to CRA. eSign charge RS. 5 plus applicable GST. You need to take a printout of the form, paste your photograph (please do not sign across the photograph) & affix signature. You should sign on the block provided for signature. The photograph should not be stapled or clipped to the form. The form should be sent within 90 days from the date of allotment of PRAN to CRA at the following address or else the PRAN will be 'frozen' temporarily. POP service charges will be applicable for KYC verification amount @ Rs125/- per subscriber along with applicable GST. POP service charges will be applicable on the contribution amount @ 0.05% (subject to minimum of Rs.5 and maximum of Rs.5,000 per transaction). These service charges will not be applicable for subscribers registered in eNPS through Aadhaar. The applicable GST will be additional. 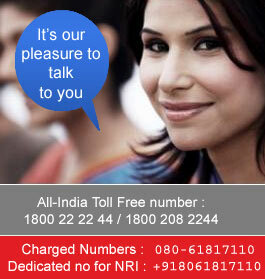 Once you enter the details like PAN number it asks you to fill Personal Details as shown in image below. Note only those fields marked with * are compulsory or mandatory. Then, Acknowledgement Number is generated. It verifies if your details matches your PAN details. If PAN records matches information for NPS registration you get PAN Detail’s confirmation as shown in image below. Enter Scheme Details for Tier 1 / Tier 2. Photo and signature should be in jpg format. Size of photo should be between 4KB and 12KB. Now, once Permanent Retirement Account Number (PRAN) is allotted, subscriber can use one of the following options: e SIGN or Print & Courier to complete the process.